Vigilance LEMC Richmond Chapter presents the 1st Annual Angels’ Circle Run On June 23, 2019. Angels’ Circle is a beautiful tribute to all the victims who lost their lives in the terrorist attacks on September 11, 2011. The Angels’ Circle Memorial site is located at the intersection of Hylan Boulevard and Fingerboard Road, Staten Island, New York. It was founded by Wendy Pellegrino to forever remember all of those who lost their lives during the tragic attack. The memorial site is comprised of photographs and mementos of the residents on Staten Island who lost their lives that day, consisting of all First Responders and Civilians. It is known to be “A Landing Zone For Our Angels Of Sept. 11, 2001”. Vigilance Law Enforcement Motorcycle Club is honored to host an event in honor of all those Angels. Please come show some support and ride in honor of all those that were taken from us too soon. 100% of the proceeds will go to the Angels’ Circle 9/11 Memorial Foundation. The details to the ride are presented on the event flyer above. YOU DO NOT HAVE TO RIDE A MOTORCYCLE TO PARTAKE IN THIS EVENT. 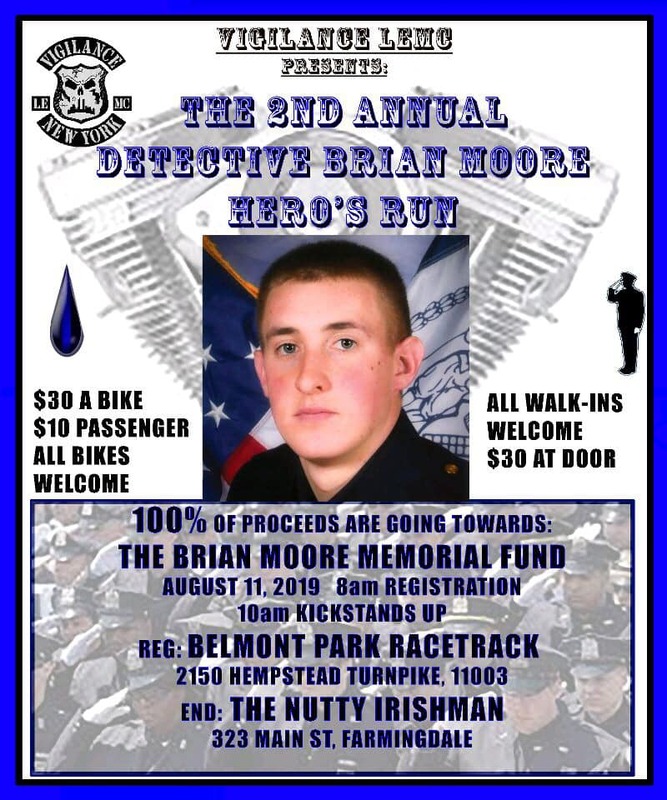 All persons not participating in the NYPD escorted motorcycle ride are invited to join us at the afterparty located at Flanagan’s Tavern: 3932 Amboy Road, Staten Island, New York 10308. Doors open at 12pm. Join us to discuss upcoming events and run coordination. Bring your flyers and share information for the 2019 season.